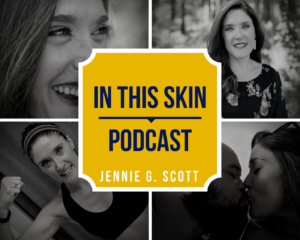 Premiering Oct. 4th — the “In This Skin” Podcast! Far too many of us are uncomfortable in our own skin, wishing we were different and resenting how we’re made. We forget that God fashioned every detail just as He wished, and His plan is to use it all for His Kingdom. Each week on the show, I’ll interview a different guest and we’ll talk about where we are in the journey to being comfortable in our own skin. No topic is off limits — we’ll cover careers, relationships, body image, and more. The goal is simple: to encourage you to be OK with being you!